Water Problems, Water Shortages, Water Efficiency and the H2Oath? | Waterless Co Inc. The state of Utah is just one of many Western states that is grappling with ongoing water problems. And its water problems may get a lot worse very soon. Utah is the second driest state in the union, behind its nearby neighbor, California. The state’s population has been growing for decades, but past growth has been in relatively manageable increments. Now it is expected that the state’s population is going to double in the next 30 years, which will put more strain on water resources and create more water problems. The state is already enduring a water crisis, and it is obvious that the state’s water concerns will grow significantly in the years to come. The state is looking for ways to come up with $32 billion over the next few years to finding more water sources, building more water storage facilities, expanding water delivery and removal systems, and repairing current water infrastructure, which, as in most states in the country, is losing millions of gallons of water every year simply through leaks. But some people in the state believe another approach is necessary, which may prove very beneficial when it comes to reducing water consumption and save money as well. These people believe that the culture around water must change. Water has always been a precious resource, but, for the most part, citizens in Utah—like those in other states in the country, including constantly thirsty California—have continued to use water anytime, whenever, and wherever they need it. While there have been some water conservation efforts during times of extreme water shortages, such as during droughts, most people do not consider using water more efficiently, which essentially means long-term efforts to reduce water consumption. But this is where a new program called H2Oath comes in. 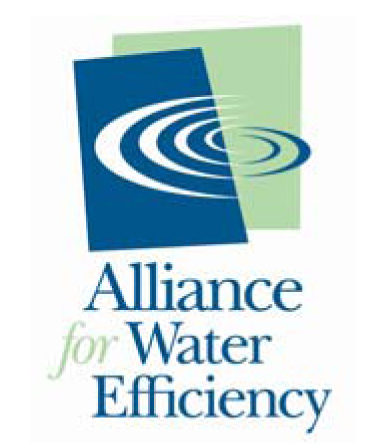 The Utah Division of Water Resources launched its new water conservation/water efficiency initiative, H2Oath, for residents and businesses alike in May 2016. The organization initially asked several Utah institutions, including the University of Utah and Utah's four largest water districts, to take the H2Oath and pledge to take specific and significant actions to reduce water use. It is believed that if everyone in the state takes this oath and takes action, the state could save 20 billion gallons of water per year, according to Joshua Palmer, public information officer for the Utah Division of Water Resources. While Palmer did not indicate how much money these water reductions could save the state, it is believed that, at the very least, the state will be able to buy considerably more time to come up with the $32 billion mentioned earlier to address its water needs. One of the state’s largest universities, Southern Utah University, has signed the H2Oath and is already reporting significant savings. The university has fixed leaks; students are taking shorter showers; dishwashers and washing machines are used for full loads only; and one of its biggest efforts, and one of the more costly, was to remove a lot of the traditional water-hungry vegetation around the university and replace it with xeriscape landscaping. In simple terms, “xeriscaping” refers to landscaping that is native to a locality. And in very dry Utah, this might not always even be vegetation. In some cases, artificial turf has been installed. And while indigenous plants have been planted, large areas of the campus are now covered with gravel, rocks, small native shrubs, and even barren land. The picture below is a good representation of what the real native Utah looks like and how the campus is being landscaped. This means that taking this one step alone will help the school reduce water consumption by 2,160,000 gallons of water per year, a huge dent in the school’s annual water consumption. This is likely why so many other schools and universities have also started installing waterless urinals. This is a very simple and easy way to significantly reduce water consumption. Simply put, if water is not necessary, why would you use it? In a sense, this is the basis of the entire H2Oath program.